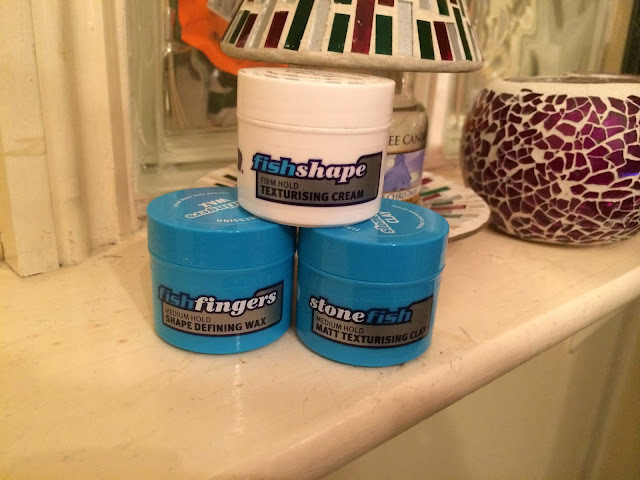 As a first foray into the world of product blogging I was handed a small pot of Fishshape texturising cream to test and give my feedback on. There is a picture of me to the right-hand side of this article giving an idea of the length of my hair, but needless to say over the years I’ve tried a number of gels, creams, clays, putties and waxes all with varying results. In all honesty I hadn’t heard of Fish or any of their products and looking at the way it’s packaged it probably wouldn’t be something that would catch my eye or make me pick it up as an impulse buy. 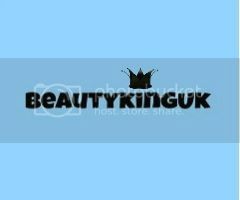 That is why I’ve been pleasantly surprised by the way in which it came into my possession and the results of using the product. The product blurb as you would imagine plays up the benefits of using the product – it’s the ultimate texturiser by all accounts. Not shy with their claims then! Described as more subtle than wax, it is designed for short to medium length hair and can be used on dry or towel dried hair. 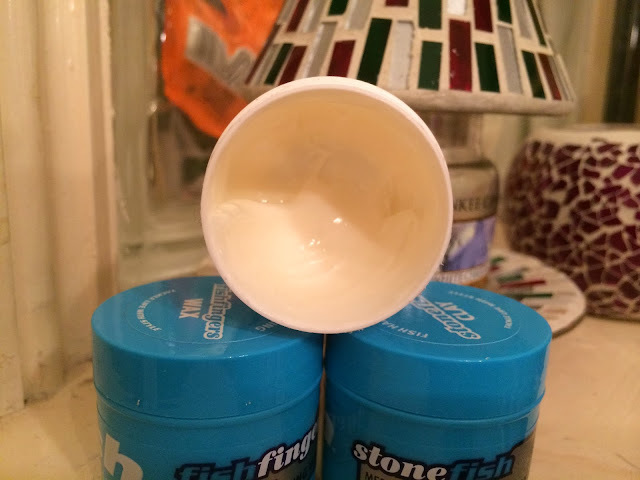 I’ve been using the cream since just after having my hair cut down to around an inch in length and up to now while it’s three to four inches in length. 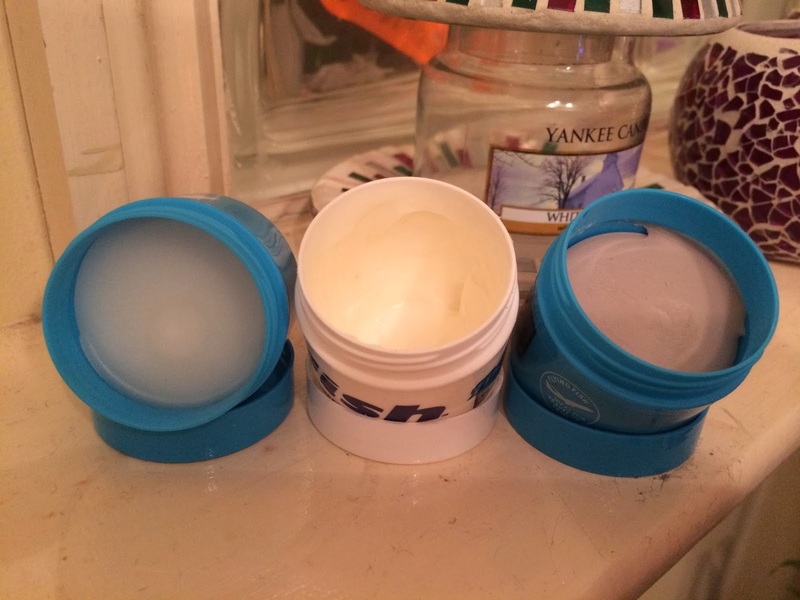 When using the cream they say only a pea sized amount is needed. I beg to differ! Enough to cover the entire tip of my finger (and I have big hands) is needed to shape and sculpt properly, especially when applying to completely dry hair. The texture of the cream is on a par with most moisturisers and is very easy to spread across your palm and apply evenly. It does leave some residue, but that’s to be expected. It smells lovely, a rich clean and fresh fragrance – there are no chemical aromas coming from your head or hands. Styling is a breeze – the cream clings to the shaft of the hair and allows for spiking and sculpting that is really easy. However, as my hair has grown in length I have struggled to style it and maintain upright spikes in my hair, even when twisting them. This is down in part to the fact that the hold weakens quite substantially as hair gets heavier. It’s no ultra-firm gel though so this can be forgiven especially as those annoying white flakes that comes an hour or so after applying alternatives such as styling mousse, gel or wax. This product won’t have you brushing flakes off your shoulders as though you are suffering from a severe bout of dandruff and will give you the confidence and reassurance of a long lasting hold. I would recommend for use if your hair is shorter than two inches in length. The cream will keep your style, won’t leave your hair looking greasy and those pesky flakes are a thing of the past. My fiancé will only use mousse on his hair. I have tried and tried to get him to try new things but he won't have any of it. Maybe I will point him in the direction of your blog Steve?! Oh my BIL uses this stuff - The hairs looking good in the profile pic Steve!